Vietnam, 21 July 2017 – Canon today announced the launch of the SELPHY CP1300, the latest addition to Canon’s range of SELPHY compact wireless photo printers. 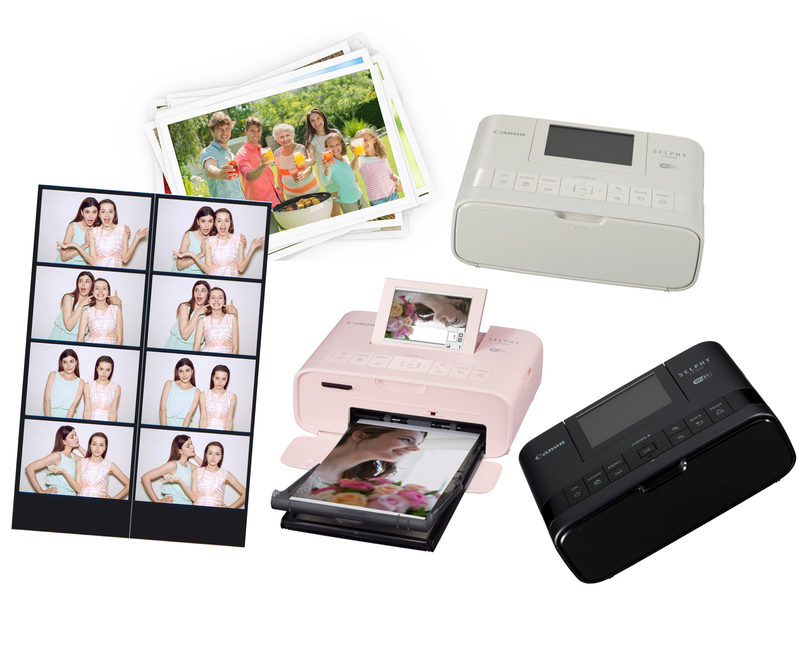 The SELPHY CP1300 is designed to offer convenient and instant high quality photo prints suitable for parties and social gatherings, and even for use on the move. SELPHY printers enable users to wirelessly print beautiful and quality images quickly and easily via smartphones or cameras that last for a lifetime. And with the newly introduced Wi-Fi Shuffle Print mode, photo printing will have an added element of spontaneous fun and interactivity. The SELPHY CP1300 comes in Black, White and a new hue of vibrant and richer Pink*. With the new Wi-Fi Shuffle Print mode, users are granted the opportunity of creating collective memories via prints during special events and occasions. The feature allows up to eight smart devices to be connected via Wi-Fi to the SELPHY CP1300 simultaneously to facilitate the sending of images. Images received from different users can be combined to form a unique collage on a single photo. Equipped with Wi-Fi capability and a host of connectivity options, creating instantaneous prints will now be a breeze. Using the Wi-Fi connectivity, users will be able to print directly from smart devices, Wi-Fi enabled cameras and PCs. It is also equipped with a dedicated Wi-Fi button which allows quick connection to smart devices without the need to go deep into the menu settings. Users may easily print from their smart devices using the Canon SELPHY CP1300 via the Canon PRINT/Inkjet SELPHY application. Alternatively, iOS devices can also be paired with the SELPHY CP1300 via AirPrint while Android devices can be paired via Mopria Print Service. Additionally, printing of photos can be done directly from USB drives, SD cards, or cameras and computers via a USB cable. The direct battery attachment provides greater convenience by powering up the SELPHY CP1300 even when power supply is unavailable, thus upholding the SELPHY CP1300 as a true on-the-go printer. With this optional Battery Pack (NB-CP2LH), users can print up to 54 prints on a single charge. Finally, with the special film coating protecting the photos from dust, water and colour fading, memories can be preserved to last through the seasons.